Appraisal in-hand! HOA includes yard maintenance! Open floor plan with plenty of room to entertain, yet private. 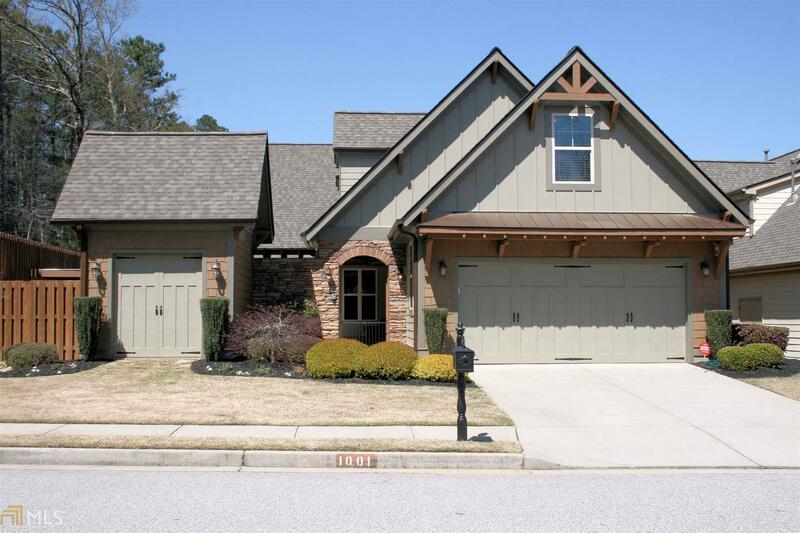 Chadwick, courtyard home with built-in hot tub, outdoor kitchen: built-in grill & fridge, + golf-cart garage! Newly refinished hardwoods, interior & exterior paint. Gourmet kitchen, family room, & dining area. French doors open to covered patio with fenced yard, sprinkler system, and gorgeous landscaping. Private owner&apos;s retreat on the main level that opens into the courtyard. Walk-in shower, separate tub, large closet. Upstairs features loft area/office that splits the 2 private bedrooms- one with an additional sitting area- each w/ full bath. Picnic area with guest parking. Close to Kedron Village- shopping/dining. Easy access to I-85. Directions: From Hwy 74. Turn Onto Senoia Rd. Turn Onto Saranac Park. Home Will Be The 1st Home On Your Left.